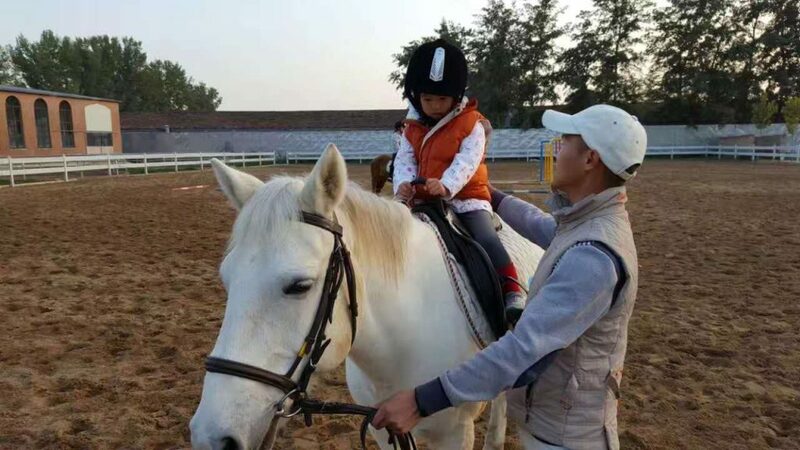 Before I came back to Beijing, I saw a few friends sharing the photos on social media about their kids’ riding horses. Looks really good. 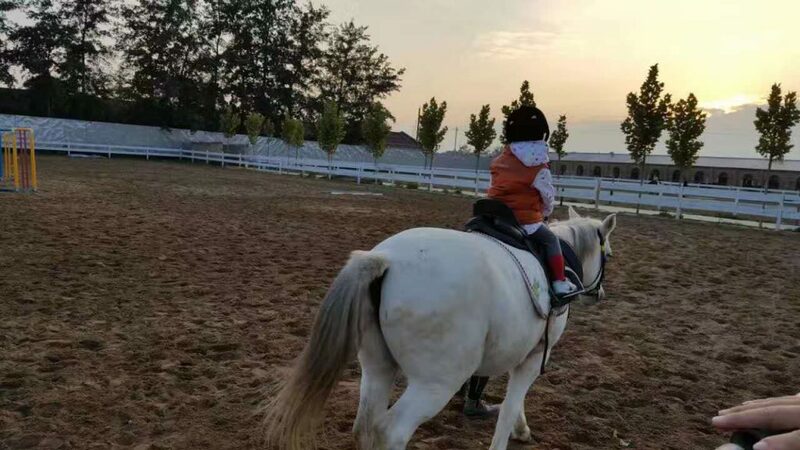 I don’t think that Zoey could manage to be on the back of the horse, or pony as she is still little. 3 years old, right? But what if she may like it? 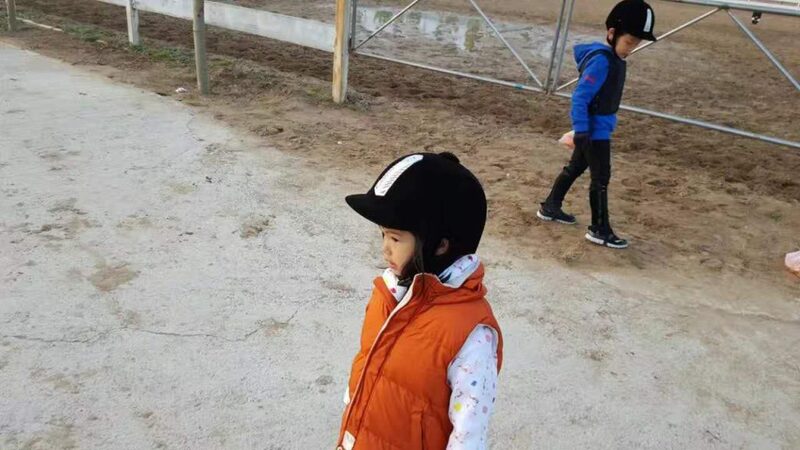 One friend asked me if I wanted to go to the horse riding training session with them one Sunday. I said yes immediately. Of course, the farm is quite far, we drove about 40 mins to get there from home. 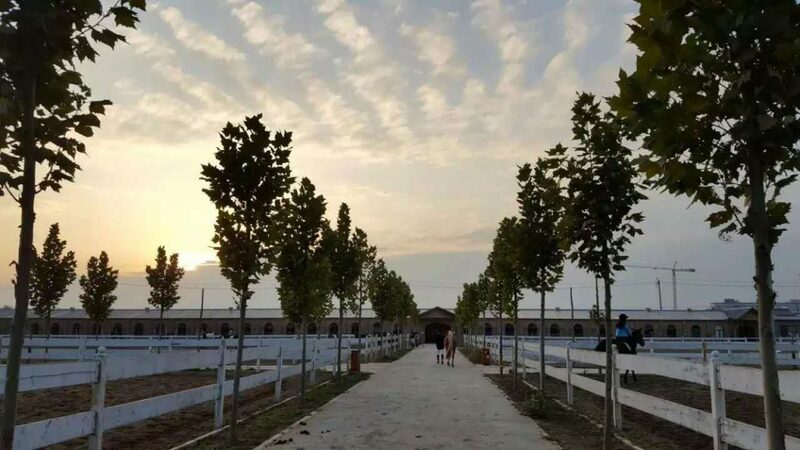 It is big and nicely set. There are a few training areas, with one indoors just in case of bad/cold weather. That day wasn’t so bad, although it’s already a late afternoon on a late fall day, the temperature was bearable, so we chose to stay outside. 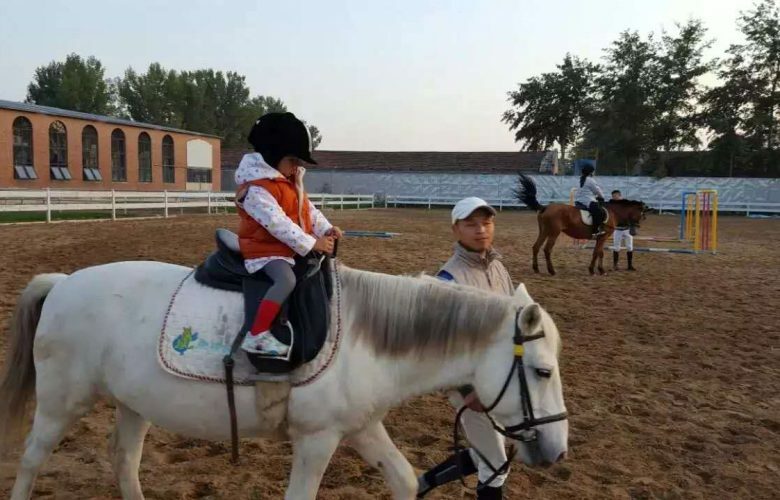 Then thanks to my dear friend, she introduced us to try the trial session of riding. I wasn’t’ too sure about that, because sometimes Zoey tends to express her enthusiasm on certain things, but draw back quickly when the thing really happens. 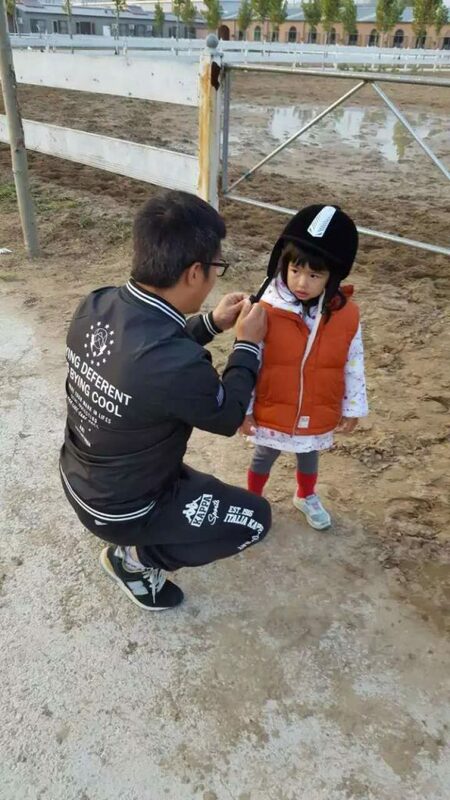 So I was prepared to see that she said no when the coach showing her to ride the pony. BUT she didn’t. to my big surprise. 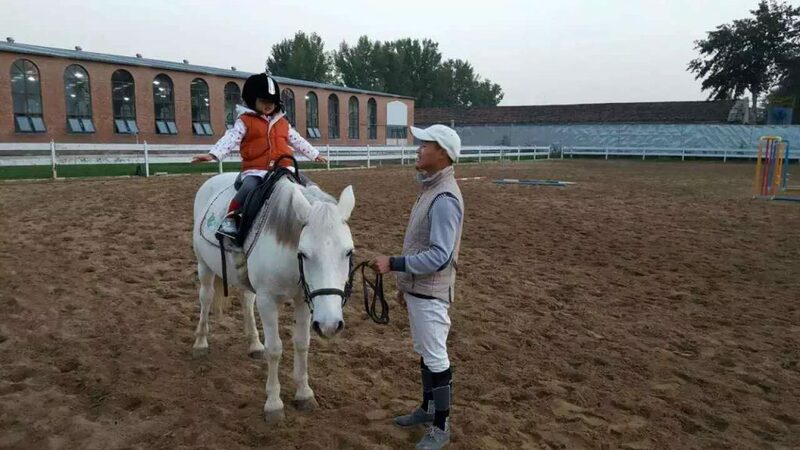 She gladly accepted everything, getting the hat (looks very professional by the way), jumping on the back of the horse and following the instruction of the coach. 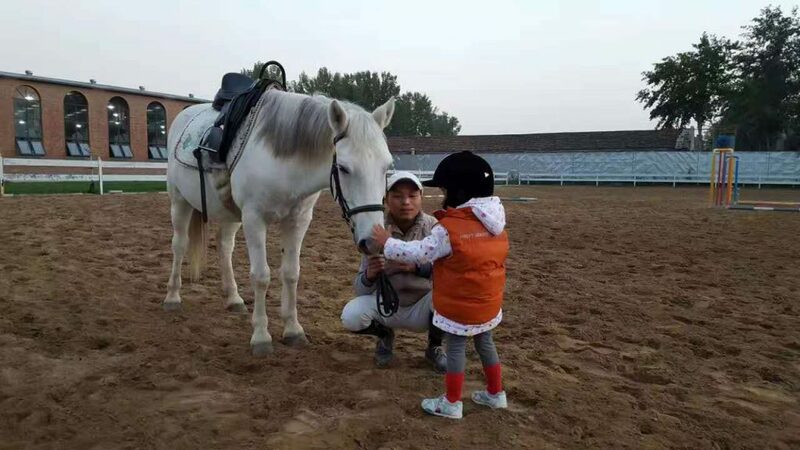 I had to express my great gratitude to the coach, my daughter could understand some Mandarin Chinese, but not fully, the coach was very friendly and patient to explain to her and talked to her all the time. 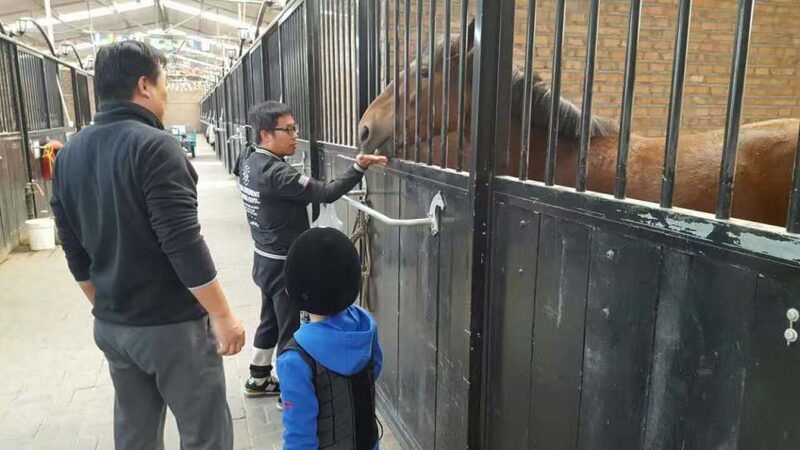 Although my friend said that he tried to get the new member to sign up since it’s a trial session, but I still felt thankful. Apparently Zoey had FUN! 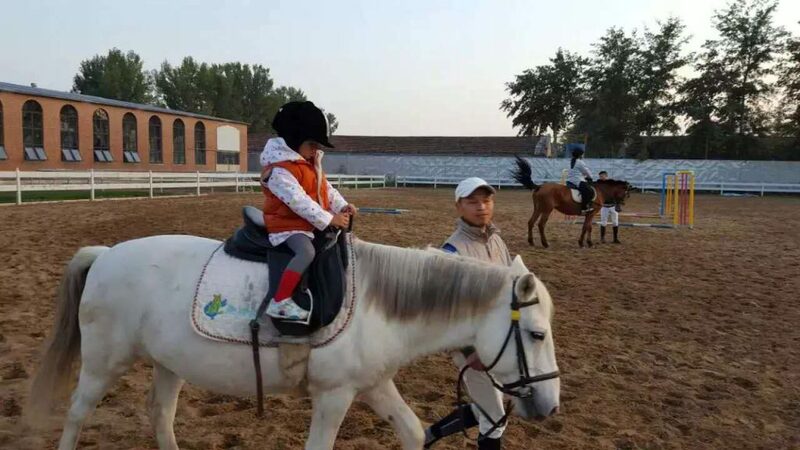 She was on the horse back for 30 minutes till the end of the trial session. She kept the cool face during the whole time, but she was excited after getting down and told me that she enjoyed it! Me too. As much as she did, as a mother. I felt she grown up a bit more. I am so happy!